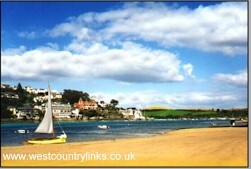 Modbury Hotels Cottages Caravan Parks Campsites Devon. Modbury's two main streets still show evidence of that wealth in its architecture. Showing a careing attitude to it's environment it was the first town in England to ban the use of plastic shopping bags.